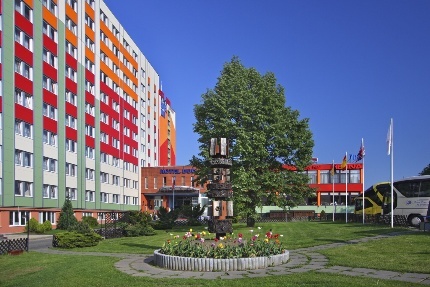 Hotel Duo is a modern renovated building located in quiet area of residential buildings and parks. Easy access to the town center by undergroud "Metro", line C, stop "Strizkov" right in front of the hotel, 7 stops to Wenceslas Square and National Museum. The hotel offers 650 spacious rooms including suites and rooms for disabled guests. All rooms include shower/WC, aircondition, radio, Sat-TV, telephone, hairdryer and internet socket.